DAVID LE/Staff photo. 4/17/15. 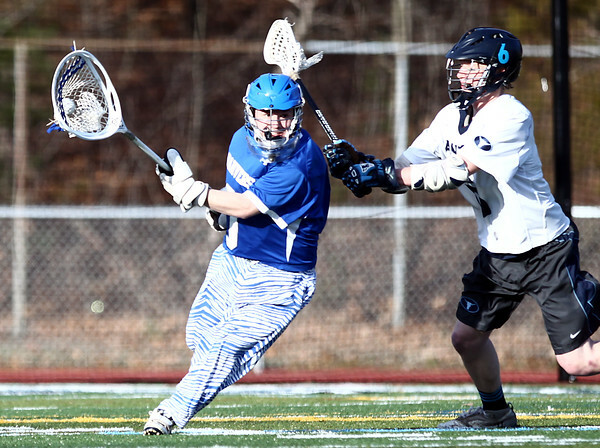 Danvers senior goalie James Curley avoids pressure from Peabody midfielder Sam Alyword (6).